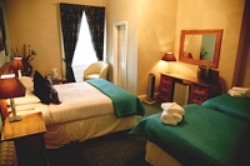 The Greenhill Hotel is superbly located in a beautiful yet quiet part of Cumbria just a few miles south west of Carlisle off the A595 in Cumbria. This beautiful red sandstone Georgian mansion was built in 1804 as a private residence and is set in nine acres of parkland. 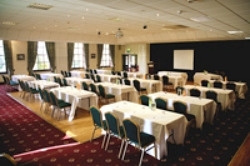 The hotel is a great location for business meetings or even larger business conferences. 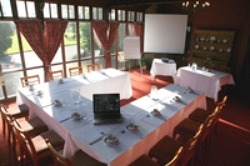 With superb facilities for Daytime Meetings and Events, Conferences or Evening Events in unique surroundings in a magnificent Georgian building, surrounded by 9 acres of parkland. 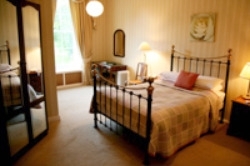 We offer 12 comfortable contemporary guest rooms, all en suite for the comfort of the guests. 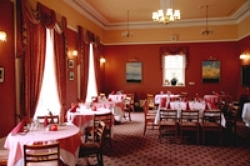 We have three rooms available in the hotel and Gazebo in the grounds (weather permitting) for the guests to organize meetings and events.